The recent strong global impact of weakness in the Chinese economy has made it clear that China is now a powerful economic force. Other Asian countries such as India, Japan, and South Korea are also strong, and the region’s ascendancy in the global economy is likely to continue. The more one looks at Asia, the clearer it becomes that the region’s ascendancy in the global economy will continue, providing strength and yet creating instability if risks are not addressed prudently. China’s rise is yet another feather in the cap of Asia’s massive economy. Once a poorer cousin of the United States and Europe, Asia now boasts some of the world’s fastest-growing economies and is a major contributor to global growth (see figure 1). In addition to China and its neighbor, India, Asia also has a former powerhouse in Japan, an increasingly affluent South Korea, and the fast-growing Association of South East Asian Nations (ASEAN). In fact, the more one looks at Asia, the clearer it becomes that the region’s ascendancy in the global economy will continue, providing strength and yet creating instability if risks are not addressed prudently. Given the expected rise in affluence and the numbers of the middle class, Asia’s role in global demand is set to increase further (see figures 6 and 7).10 Greater integration within the region (such as the ASEAN Economic Community) and trade agreements with global growth centers (like the Trans-Pacific Partnership) will only add to the lure of the Asian market. Increasing demand from Asia has contributed to growth in non-oil commodity-producing nations as well, especially those rich in iron ore, copper, and coal. Nowadays, the fortunes of commodity producers such as Brazil, Chile, and Indonesia are increasingly dependent on demand from emerging Asian countries, rather than the West alone (see figures 9 and 10). While Japan and a few affluent nations in South East Asia have always been a part of global investors’ calculations, there is also a trend of increasing focus on fast-growing emerging economies in Asia. As a result, major global equity, bond, and currency markets are more interlinked with Asia now than ever before. This relationship is, however, not a one-way street, where events in the West impact Asia. Nowadays, movements in Asia have started impacting major markets in the West more profoundly. For example, currency weakness in Asia due to uncertainty over a Fed hike has dented the overseas dollar revenues of US corporations this year, thereby weighing on stock prices. Then again, when the bull run in Chinese stocks ran out of steam in June, the impact was felt across the world (see figure 11). And as the Fed makes its intentions clearer, investor focus has yet again shifted to emerging market growth, especially China.15 Ironically, within Asia, financial markets have become more interconnected due to growing trade and investment links within the region. When China devalued the yuan in August to free up the currency—a move praised by the International Monetary Fund—it created a flutter among other emerging market currencies, including Asian ones (see figure 12). Rising economic and financial links within the region and outside have ignited much debate on the need for more economic reforms in Asia. For example, China’s attempts to develop a domestic demand-driven economy will not bear fruit without financial market reforms. In Japan, structural bottlenecks will not go away without changes in the labor market, agriculture, and corporate governance. India’s attempt to attract global investments will fail without reforms to the tax regime and easier business conditions. And in South Korea, concentration of economic power in a few firms cannot be remedied without sprucing up SMEs and entrepreneurship. Are Asia’s policymakers ready to match rhetoric on reforms with action? Are the region’s giant emerging economies prepared for global economic leadership through more open and globally integrated financial systems including floating currencies? Will any sudden reforms by one country without information symmetry with global markets lead to short-term vulnerabilities (like the yuan devaluation in August)? Will Asian policymakers be able to broaden their focus to a more global one given the region’s rising role in the world economy? These are only some of the questions that will be asked of Asia’s leaders as the region continues to progress. As they lead efforts to set up global development banks, fight climate change, and increase their presence in world bodies like the United Nations, Asian countries will have to collaborate more. Only then will Asia’s rise be a more credible one, helping to create a more stable world order, both economic and political. The author of this article would like to acknowledge the contribution of Aijaz Shaik Hussain. 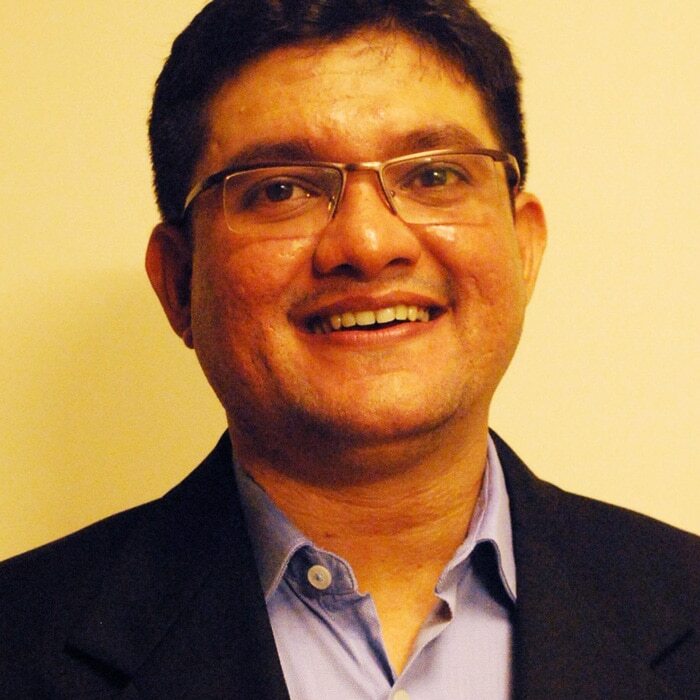 Aijaz is an executive manager with Deloitte Services India Pvt. Ltd. Packing a mightier punch: Asia’s economic growth among global markets continues has been added to your bookmarks. Packing a mightier punch: Asia’s economic growth among global markets continues has been removed from your bookmarks.